Surprisingly disappointed in this book. 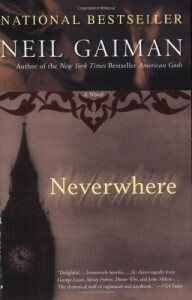 I usually adore Gaiman, but this one was mostly dull, to say the truth. Maybe it's because it was originally a Tv-series, and the translation to novel didn't go too well. It was very inventive, and I'd love to see the show, but all in all it was just ok, and not much more.